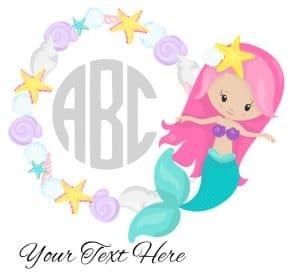 Create your own mermaid monogram using any of these designs. You can edit the initials and change the color. You can also add additional text such as your name. You can change the monogram font. There are many fonts available. Select the design that you want to use. Click on it to open the monogram maker. Edit each initial to add your own initials. You can add your name. 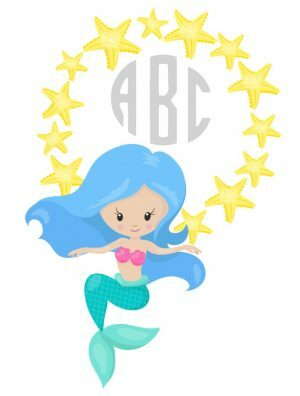 Select a mermaid with initials from the selection above. 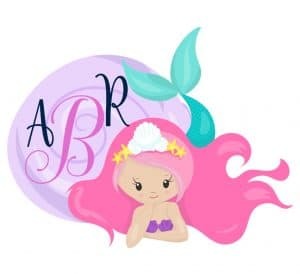 You will be able to change the initials and the font at a later stage so select the mermaid design that you like best. 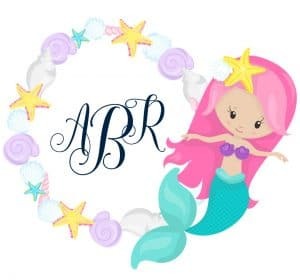 Edit the initials or add your own text. You can use any text such as a quote or name. Print on vinyl. 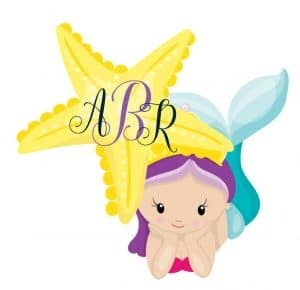 If you are making a car decal then be sure to use waterproof vinyl for car decals. 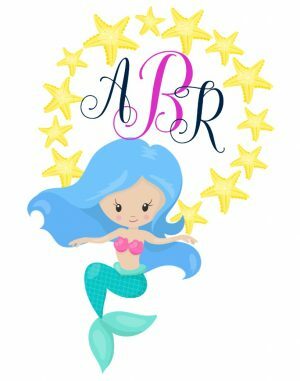 Cut out by hand or with a cutting machine such as a Silhouette Cameo or Cricut. 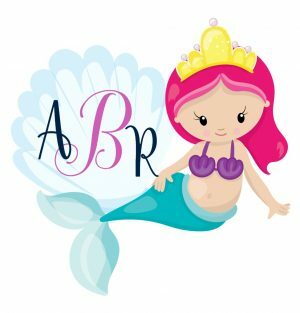 How to make a DIY monogram mermaid blanket or shirt? 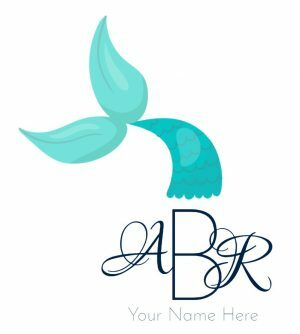 Create your custom design and download it to your PC. Print it on iron-on transfer paper. Iron it on a blanket or shirt. Once you have created your design, download it with the cloud icon as a png image. Use a service such as this one that converts an image from png to svg.